On December 8, 2013 in Minneapolis, the Minnesota WebRanking crew gathered once again in what is now becoming a tradition. 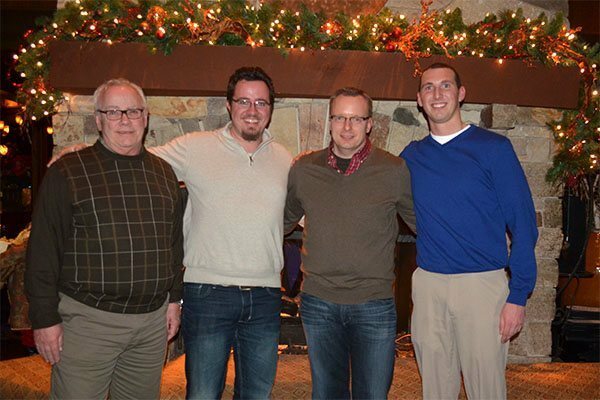 We got together to celebrate the holidays, and a very successful 2013 for our company. The Portland crew did not join us this year. We were fortunate to have them in Minnesota last year as all the stars aligned and schedules worked out perfectly to have them with us. Alas, the stars were crooked this year. But that didn’t stop us! 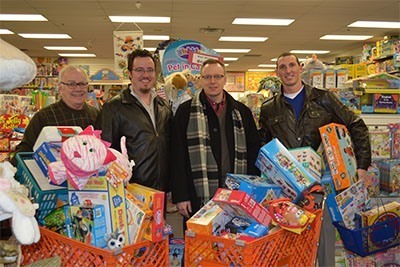 In Minnesota, we started the party again at a local toy store in Chanhassen where we summoned out our inner child and grabbed toys like it was the end of the world! The ABC Toy Zone staff once again extended us an extremely generous discount of 30%, allowing us to once again fully load our carts (and a few baskets) and round up over 100 toys donate to the outstanding Toys for Tots Foundation! Chris and Tony got toys! Not to be outdone, in Oregon the guys there did their best impressions of Santa Claus as they ransacked their own local store. A whirlwind experience that had the staff calling in reinforcements to handle the load…OK, that’s a slight exaggeration. But the Oregon guys carefully selected over 20 toys that they themselves would have been proud to own when they were kids. They brought the toys to the Toy N’ Joy dop box at the Westmoreland Fire Station. Christmas, Chanukah (or however you want to spell it), Kwanzaa…no matter what you celebrate, the holidays are truly about the kids, and we need to take time to remember those less fortunate than ourselves and make sure as many kids as possible get to celebrate and be happy! When the shopping spree in Minnesota concluded, we headed over to the delightful Redstone Grill in Eden Prairie, MN for our company holiday dinner and celebration. If you’ve tried their Buffalo Shrimp you’d understand why we went back for the 2nd year straight. We enjoyed a delicious and filling meal, drinks, and most importantly each other’s company. After posing for a few company photos, we braved the elements and went our separate ways. What a great crew we have here at WebRanking! We continue to spread our roots as a company, as individuals, and digital marketers. I’m quite certain I speak for everyone here at WebRanking when I say I hope you all have a wonderful holiday season and a happy New Year!